Elegance, Beauty, these are the best ways to portray our pillows from the Jizera collection. Taking classical design and modern styling to a whole new level! Beautiful inlays, these pieces are made with a 100% Linen front, and a 100% cotton back. 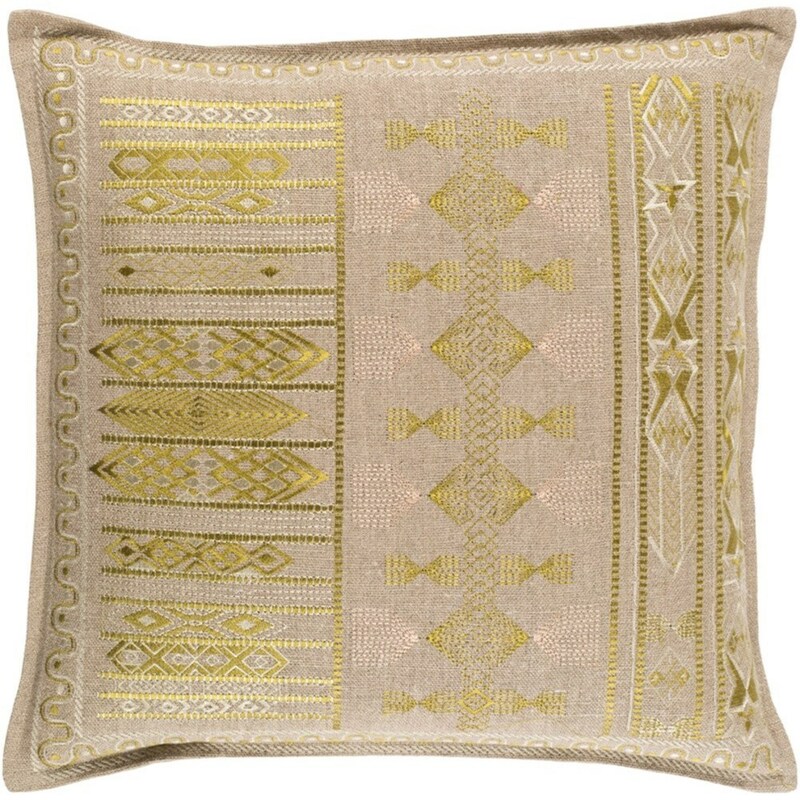 Hand woven by artisans in India, comes in a variation of colors. Spot clean only. The Jizera 18 x 18 x 4 Pillow Kit by Surya at Suburban Furniture in the Succasunna, Randolph, Morristown, Northern New Jersey area. Product availability may vary. Contact us for the most current availability on this product. Browse other items in the Jizera collection from Suburban Furniture in the Succasunna, Randolph, Morristown, Northern New Jersey area.